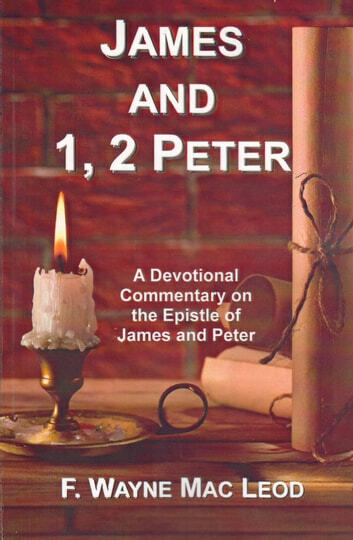 This is a devotional commentary on the epistles of James and Peter. Its purpose is to lead readers step by step through the epistles in a way that will encourage them in their walk with the Lord. The writings of James and Peter are immensely practical. They remind us that suffering and pain are very real in this life but point us to the wonderful hope we have in the Lord Jesus. James challenges us to make our faith real. He shows us how a practical faith works itself our in everyday life. Peter calls s to be watchful in a world where Satan roams looking for someone to devour. We find in these epistles many practical messages for living a life of victory. The goal of this series is to encourage average Christians in their walk with the Lord. Ideal for devotional time with the Lord. Each chapter ends with some points to consider and points for prayer to help in the application of the passage.